For many high school girls, going to prom is one of the most exciting nights ever. And finding just the right dress is half the fun. If you live in or near the Dallas-Fort Worth area, you'll find many choices of places to shop for this special dress. If you live out of town, make it a mom-daughter weekend getaway for great fun and memories, with a lot of dress shopping on the agenda. Be danceable. It's one thing to walk the red carpet in a mermaid dress—but it's another to ride in a limo and dance in one. The shops listed here are all local DFW choices. Good choices for special prom dresses among bigger national outlets are Neiman Marcus (originally local Dallas), ​Nordstrom, and Lord & Taylor. For that requisite DFW glam, don't forget statement earrings or necklace and killer shoes. At this boutique, you'll find prom dresses that are on trend and on budget, with brands like Madison James, Sherri Hill, Faviana, La Femme and Ellie Wilde. Terry Costa is a Dallas shop that focuses on service and the perfect fit. Elegancia pledges on its website that it won't sell the same dress to two girls in the same school. That's some pledge and assures you will not run into a twin on prom night. It's no surprise that Elegancia emphasizes the full customer experience along with trendy formalwear. 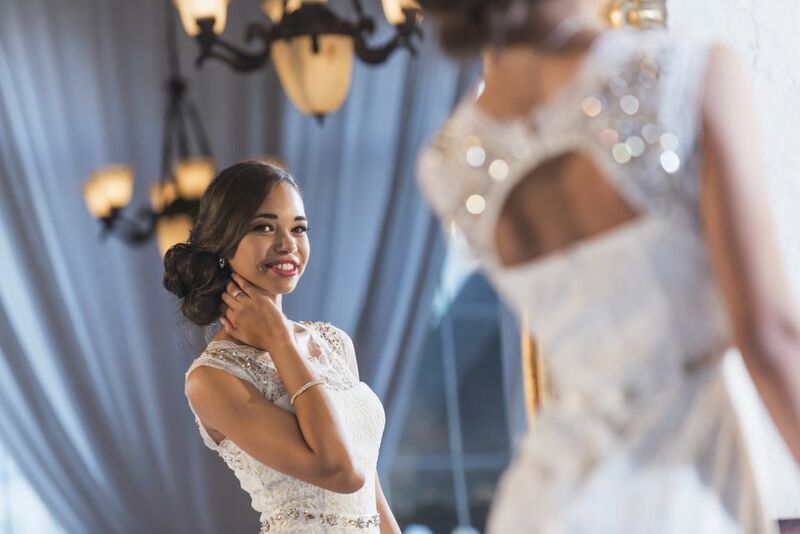 WatchamaCallit, with locations in Dallas and Fort Worth, offers a huge selection of prom dresses for that big night from Jovani, Tarik Ediz, Madison James, Alyce Paris, Morilee, La Femme and Sherri Hill. The store has a relatively pricey but gorgeous and varied selection. This shop in Carrollton has dresses by Blush, Jovani, Helen's Heart, Jasz Couture, La Femme, MacDuggal, Rachel Allan, and Tarik Adiz. This mix of brands gives you a huge range of styles to choose from, and there's no doubt you will shimmer yourself in one of them. For an offbeat choice, check out Dallas Vintage Shop in Plano. It's filled with vintage pieces that can be used as costumes for parties, costumes for plays and yes, dresses for prom. You'll wow everyone with your retro look that you can be sure no one else will be wearing. They have pieces from the turn of the 20th century to the turn of the 21st. Even if you don't find the right dress, cruising this huge store is fun all by itself, a real clothing adventure. If you have upscale taste without a budget to match, you might find your dream dress at ReThreads, a resale consignment shop bulging with haute couture and bridge designer labels. All items are gently worn and thoroughly inspected—and always one of a kind.